Join us and experience the Sound of Soul. Discover your inner guidance, healing for body, mind, and spirit, and a higher form of creativity by chanting the sacred sound of HU. Spiritual discussion and light refreshments afterward. HU, a sacred name for God, can uplift people of any religion, culture, or walk of life. You’re invited to chant HU, contemplate for a few minutes, and then enjoy spiritual conversation with others of like heart. “Love is love. And you are that. From on street parking, enter by North doorway and from the foyer, turn left. From back parking area, enter by the South doorway and from the foyer, turn right. The ECKANKAR Center is at the end of the East hallway. 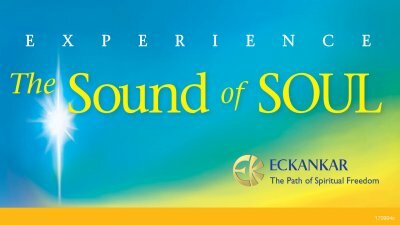 ECKANKAR in Wisconsin — Presented by the Wisconsin Satsang Society, Inc., A Chartered Affiliate of ECKANKAR. The opinions expressed in this site are those of the writers and not necessarily those of ECKANKAR or the Mahanta, the Living ECK Master, Sri Harold Klemp. Copyright © 2019 ECKANKAR. All rights reserved. The terms ECKANKAR, ECK, EK, MAHANTA, SOUL TRAVEL, and VAIRAGI, among others are trademarks of ECKANKAR, PO Box 2000, Chanhassen, MN 55317-2000 USA.